Truly an island paradise, the Maldives always remains on the bucket list of the avid travelers and honeymooners alike. For this reason, the Maldives holiday packages witness a huge demand all-round the year. Crafted meticulously, these packages offer blissful respite to the beach lovers. Besides this, the well-planned itineraries cater to the needs of all the tourists. Plan a trip to the Maldives to relax away in the blue. The warm seas of the Maldives are famous for clear waters. In addition to this, a tropical nation enjoys being one of the world’s richest coral reef areas. The reason behind this is a spectacular formation of over 3000 coral reefs. Furthermore, the exotic marine life present at the Maldives is sure to leave you spellbound. A wide range of Maldives travel packages makes you realize your dream of beach holidays. These packages further help to create memories of a lifetime by allowing to enjoy the unparalleled sight of the underwater world. Feel the thrill to marvel at a variety of fish right from tiny shrimp, sharks to huge mantas at really close quarters. The best thing about these packages is that they even allow novice divers to soak in the charm of underwater life. To make the most out of the Maldives holidays, one must partake in a number of things to do. Snorkeling is one of the best ways to explore the marine wonderland distinctively. Take up the challenge of windsurfing and ride the waves on your surf board. Bask in the sunshine along the pristine beaches featuring white sand. Night diving is an added plus. Keeping all this in mind and including much more, the Maldives tour packages make you enjoy till your heart’s content. Rejuvenate yourself completely in the lap of nature amidst luxury. 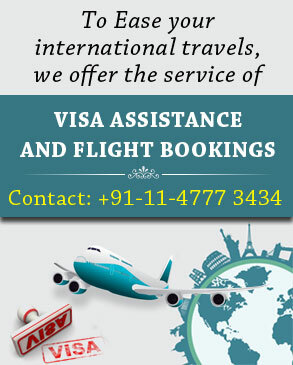 Appealing to the holidaymaker in you, these packages not only offer memorable holidays but also provide exciting deals. Owing to its various attractions, the archipelago is a haven for newly wedded couples. Booking a Maldives honeymoon package makes honeymooners cherish an ideal romantic escape. Pamper yourself and your better half with an aromatic spa therapy. Plan your date under the mystical sky with the picturesque backdrop of coral greenery. Each moment you spend here will appear as a dream come true. Delight in the much-needed break from the mundane routine by planning Maldives vacations. Offering you everything that you can’t even imagine, the trip will keep you on toes. Whether you are nature lover or an adventure enthusiast, Maldives is for everyone!